The ES made a new low overnight at 1293.5. 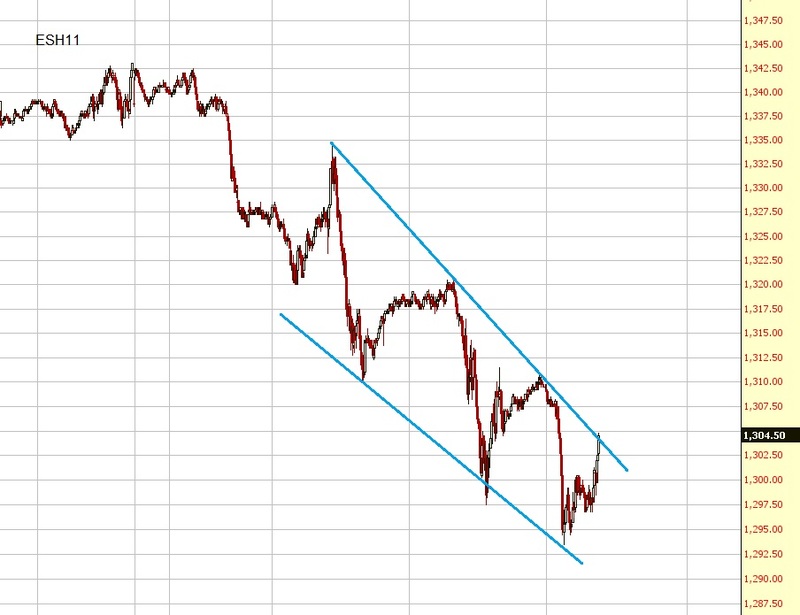 Since then the market has rallied and is now at the upper channel line again. 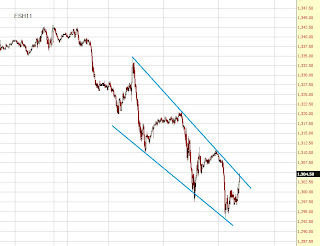 If we can break out we should finally get a bounce (probably up to 1320ish else another sell off down to the lower channel line again is likely.